• Eat breakfast. Did you know that in order to gain weight, sumo wrestlers in Japan aren’t fed breakfast? It’s true and skipping breakfast slows down metabolism and encourages weight gain. Start your day with a breakfast that combines fiber and lean protein in order to rev up your metabolism and keep you feeling full ’til lunchtime. 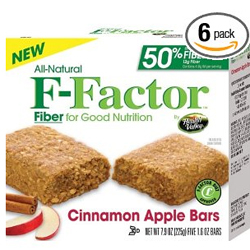 • Add more fiber to your diet. 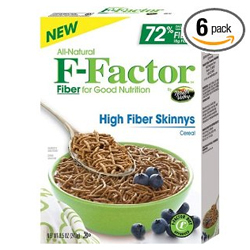 Fiber is the secret to easy and successful weight loss. It is the zero-calorie non-digestible part of a carbohydrate. The more fiber a food has, the more satisfied you will feel after eating, leading you to consume less throughout the day. In addition, fiber has zero calories — so you get to fill up without filling out. Nothing says Labor Day like pool parties and BBQs. But with fattening items like hot dogs and creamy side salads (think potato salad and coleslaw) on the menu—you may find yourself with a little extra pudge hanging over your bathing suit. With a few simple changes you’ll be able to enjoy the end of summer without wreaking havoc on your waistline. 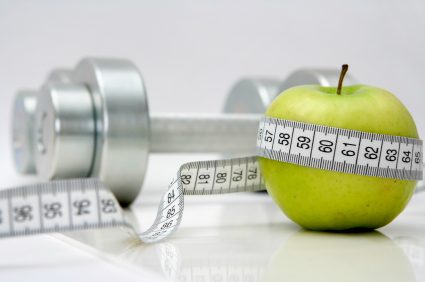 These tips save big on calories and grams of fat, but sacrifice none of the flavor or fun! I’ve even provided one of my favorite F-Factor recipes that’s sure to be a hit all summer long. Happy BBQing! Go Lean on the Grill: Lean meats such as chicken, fish and turkey provide less calories, saturated fat and cholesterol than hot dogs and full-fat hamburger meat. If you can’t avoid your hamburger craving, choose USDA Select or Choice grades of lean beef that have been trimmed of fat, such as ground sirloin. Another great tasty option is low-fat sausage with 3g of fat or less, from brands like Applegate Farms and Hebrew National. Factor out: 2 full fat sausage links at 163 calories and 14g fat. Factor in: 2 low-fat sausage links for 80 calories and 3g fat. Rub a Dub, Dub, Just not with a Wet Rub: When grilling, try using a dry rub. Unlike a wet marinade, which is often oil based, dry rubs add a kick of flavor without the unwanted calories. Factor out: Marinade on your meats. One tablespoon of olive oil has 135 calories and 15g of fat, and the typical marinade uses 1 cup of oil! Factor in: Dry rub adds flavor to meat without any extra calories or fat! Factor out: Mayonnaise adds tons of calories and fat to your potato salad recipe. A half-cup is 785 calories and 87g of fat to your potato salad. Factor in: ½ cup of Greek yogurt to your potato salad recipe. Which has only 60 calories and 0g fat. Bag the Sugary Baked Beans – No BBQ is complete with the requisite bowl of baked beans. However, while beans are known as an excellent source of protein and fiber, the baked beans you’ll find at a summer soiree will likely be loaded with calories and sugar. Believe it or not, one cup of baked beans is equivalent in sugar to six Oreo cookies! Instead, make a four-bean salad combining canned chickpeas, kidney beans, black beans, string beans and a few sprays of Wish-Bone’s Balsamic Breeze Vinaigrette Salad Spritzer. You’ll have a healthy dish that everyone will love, that’s is also good for them. Factor out: Traditional baked beans, which can have up to 640 calories and 4g of fat in a cup. Factor in: A four-bean salad, which will lighten up your BBQ with just 80 calories and 1g fat in a cup. Skinny Your Skewers with Veggies! Kebabs are not only fun to make and pretty to look at, but they taste great and should be loaded with delicious veggies. Try alternating your skewers with a lean protein such as chicken or shrimp and high fiber vegetables. Veggies like peppers, eggplant, and purple onions add color to your meal and make it more nutritious. Plus, the combination of fiber and protein will help to keep you full. Factor out: A chicken skewer totals up to 230 calories and 6g fat. Factor in: A half chicken half vegetable skewer, takes down the caloric content with 175 calories and 3g fat. How About a Heart-Healthy Sangria: What’s more festive and appealing in the hot summer months than a fresh-mixed, sparkling cold Sangria? Unfortunately, most recipes call for honey, coloring and even straight white sugar. If you like Sangria, try making it with sweet berries, white wine and calorie free Sprite Zero to cut the calories in half from a traditional recipe. The fresh berries taste great, and the boost of antioxidants and fiber make it the perfect heart healthy drink for summer. Factor out: The typical sangria recipe packs in 200 calories and 1g fat per glass. Factor in: F-Factor lightened up sangria, which has 50 calories and is fat free. A Hot ‘n Sweet Surprise: Grilling is not just for protein and veggies! Try grilling chunks of delicious summer fruits such as slices of pineapple or halved peaches and nectarines for a delicious take on a traditional summer fruit salad for dessert. The heat from the grill will caramelize the fruit, for a naturally sweet, low calorie treat. Factor out: Peach pie, which can break your calorie bank at 261 calories and 12g fat. Factor in: Grilled peaches with a scoop of creamy low-fat vanilla yogurt for the perfect summer treat that is only 60 calories and 0g fat. 1. In bowl, combine potatoes, celery, onion, pickle relish, red pepper, and eggs. 2. In a small bowl, combine the remaining ingredients to make the dressing and mix well to combine. 3. Pour the dressing over potato salad and mix gently to evenly coat. Cover and chill for several hours. Nutritional Content: 158 calories, 5g fat, 1g saturated fat, 23g carbohydrates, 2g fiber, 4 g protein.